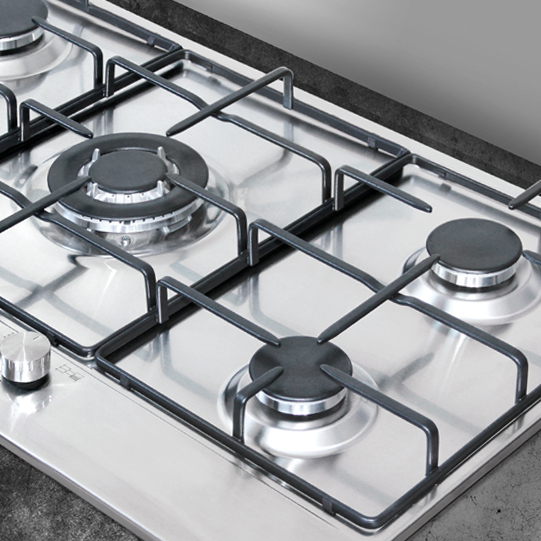 Glem’s hobs offer new and innovative performance. They are available in a broad range of models differing in terms of size, burners and power ratings, offering many models to meet your needs: stainless steel, enamelled or crystal, with cast iron or enamelled pan supports. The number of burners and their layout are studied in painstaking detail to combine aesthetic appeal and maximum functionality. This powerful burner allows you to cook any food in the best possible manner and in the best possible time. The dual control means you can adjust the flame for each individual ring at a power of between 0.8 kW and 4.5 kW. It is therefore possible to turn on the central ring or the dual outer ring, or both: for large and small pans, concentrating the heat and energy only where it is needed. 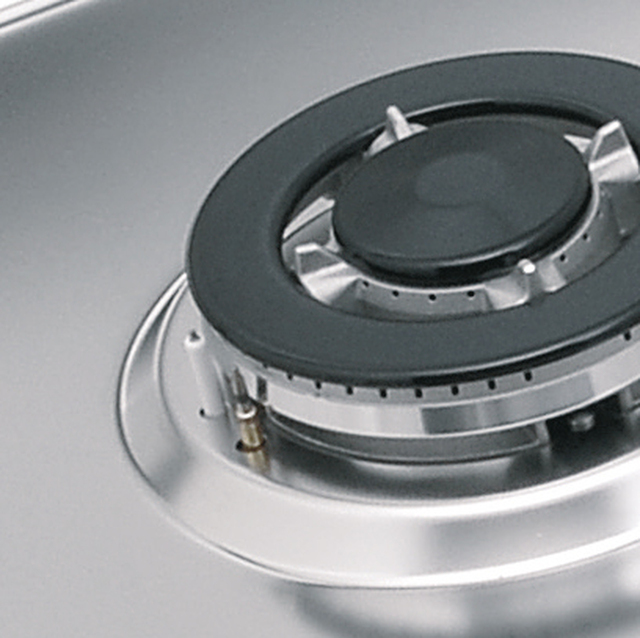 The special burner with triple ring makes the most out of the power. The special shape of the burner permits uniformity of the flame. The power of 3.3 kW to 3.8 kW ensures maximum efficiency and faster cooking times. 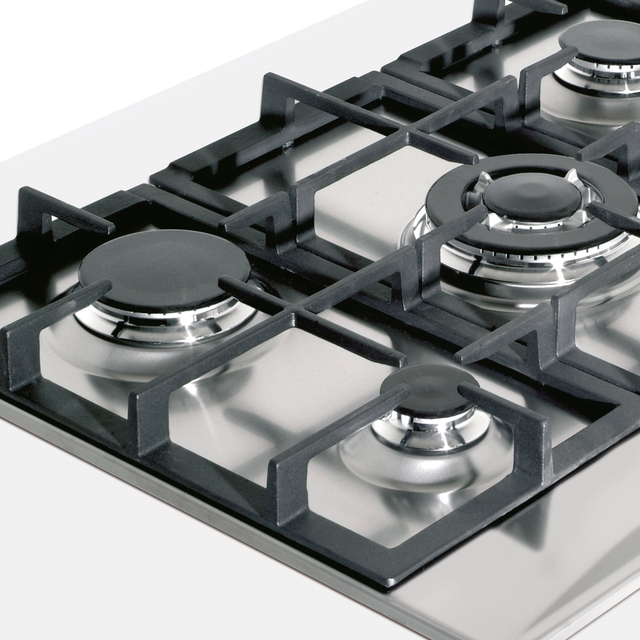 Cast Iron is a very heat-resistant material that makes hobs long-lasting and similar to the professional ones. They have been designed with particular attention to safety so that pans of any dimension can be placed them without falling over. 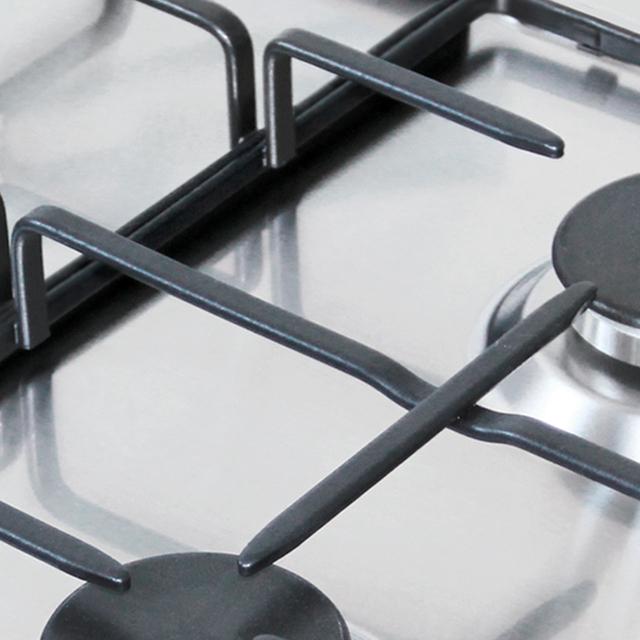 The new matt black pan support give more solidity and richness to the cooktop. Furthermore, the new matt and porous finishing acts as anti-slip for all the saucepans.